The S.O.S.Band formed in the late 70’s with each member coming from various cities, converging in Atlanta, Georgia, which became and still is their home base. During that time, the Band was known as “Santa Monica”. The Sound of Success (S.O.S.) Band exploded on the scene in 1980 with a name change, a recording contract, and their first mega hit platinum single; “Take Your Time”. This climbed to the number one position on the of Top of the Pops, Billboard, Soul, and Disco charts. Then followed their first album titled, “The S.O.S.Band”. Fans worldwide loved the new sound and lyrics causing this album to become the Band’s first gold album. Both projects were piloted by Sigidi as writer and producer. Sigidi also produced their second album, “The S.O.S. Band –Too.” After miles of extensive travel and countless performances, the Band was introduced to the likes of Jimmy Jam and Terry Lewis who were the producers of the Band’s third, fourth, and fifth gold albums giving us mega hit singles as: “Just Be Good To Me”, “Tell Me If You Still Care”, “Just The Way You Like It”, Week-end Girl”, “High Hopes”, “The Finest”, Sands of Time”, and the list goes on. 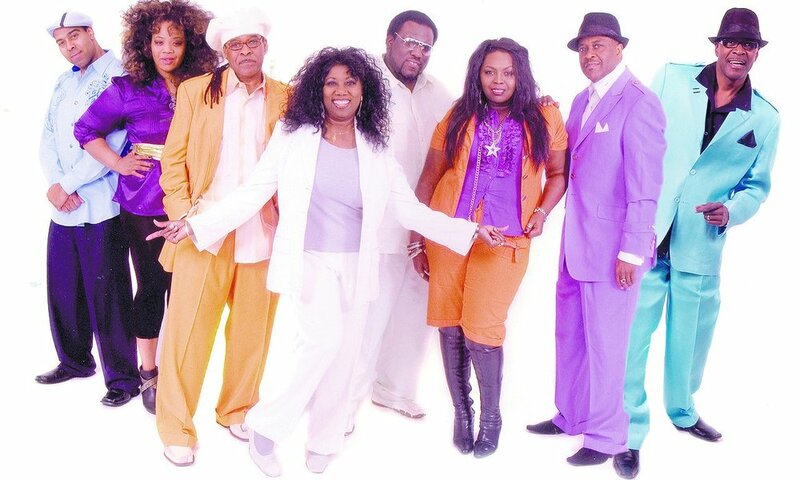 After more than twenty years, original lead vocalist Mary Davis, and trumpeter/vocalist Abdul Ra’oof are the only two original members of the band. They still love traveling the world and performing with their new band. They have shared the stage with legendary artists such as: James Brown, The Gap Band, The Time, The Isley Brothers, Frankie Beverly and Maze, The Bark-Kays, Peabo Bryson. They have also shared the stage with pop star of today such as: Indie Arie, Angie Stone, Dru Hill, Destiny’s Child, Jagged Edge, Outkast, and the list goes on. The Band has been fortunate to perform on major national events including: The Tom Joyner Morning Show, Motown Live, VH1, Sinbad Funk Fest, FUBU Festival, The Michael Baisden Show Live, Tom Joyner Fantastic Voyage Cruise, Classic Car Shows, Vegas, and Flashback 2002 and 2006 where by use of the internet the band was voted “People’s Choice” by over 20,000 fans! In late 1999 and early 2000, the Band released two new singles “Girls Night Out” and “Who Do You Tell” both on Major Label Records. These two singles were also featured on the “United We Funk” compilation album produced by Major Label Records. During this time, there was also a live CD recording in Chicago and Detroit titled “Tom Joyner presents The United We Funk All Stars Live”. The first four albums of the Band are presently on CD so fans new & old can enjoy S.O.S.’ original material.